Reach out to the seniors in the Austin Community and share the joys of music making with them by participating in a Music Together Generations class. This is a mixed-age class (birth to 5) that takes place at an assisted living facility and includes the residents at the facility. 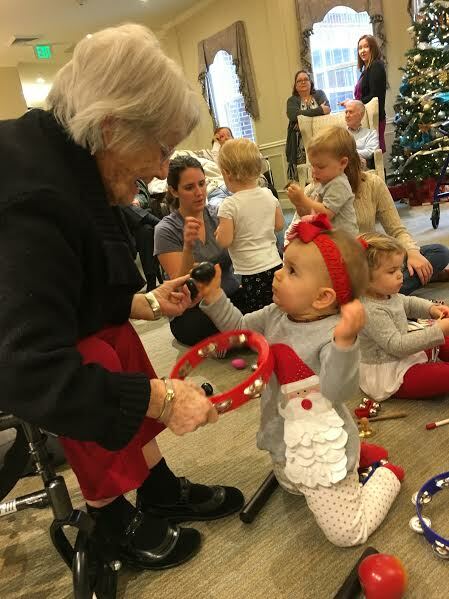 These classes create a joyful connection among generations and engage the residents' minds and bodies. They are also beneficial for helping the elderly participants to stay mentally and physically alert and stir up cherished musical memories. 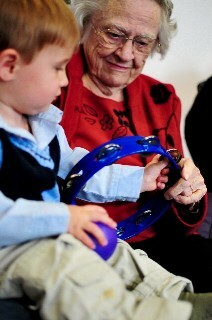 The classes also inspire the facility staff members to weave music into every day interactions with the elders. Heartsong families also benefit from the weekly interactions with the residents, who become an extended family to our Heartsong families. Each weekly 45-minute class includes songs, chants, dancing, and instrument play. 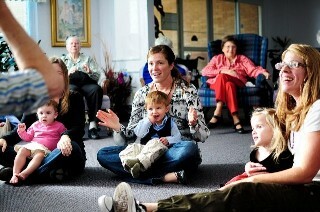 The residents are invited to sit in a circle around the Heartsong families and participate in any way they are able and join in on the fun and music making. In addition to receiving a songbook and 2 CDs, enrolled families will receive a code to access Music Together's brand-new Family Music Zone. There, you'll be able to download the songs from the current song collection, in addition to exploring fun content created just for you. To access the Family Music Zone, parents will create an account at www.musictogether.com/account using the code found on the inside back cover of the CD booklet. Please click on our Demo Scheduler or call us at 371-9506 to try out this class for free! "I like that you are increasing your Generations classes. I work with seniors and know they miss interacting with their own grand kids and family." 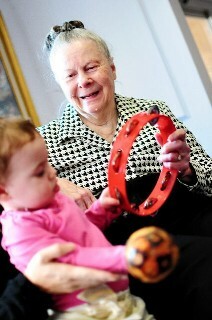 "...Having music class at the retirement home was a beautiful experience. The residents of the home create such a rich experience for all." 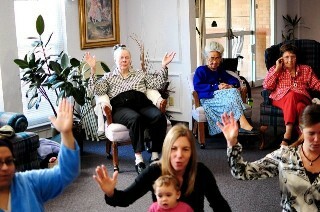 "We loved the Generations class! 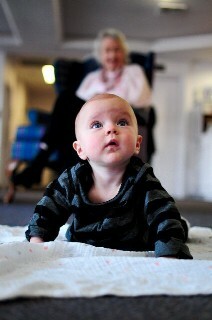 It is so wonderful to share our precious children with the older generation and participate with them." "We did the Generations class and what a benefit to both kids and the older adults (and the parents too!) Very sweet interaction between all generations. The Generations program is wonderful." 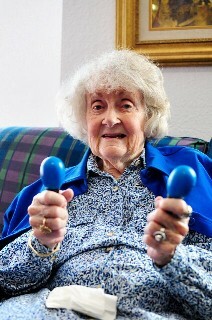 "I thoroughly enjoyed our Generations class. Our teacher did a great job involving the entire class and including the older generation."